They were not equipped with gadgets. Nor did they have analytic tool. They did not understand the game either. Still, they went down in the history for making right FIFA World Cup predictions. They have been as much in the news for their World Cup predictions as the players and team managers who ensured those predicted victories – or suffered disgrace for predicted defeats – in the middle there. The animal kingdom on our planet is abundant with rare species. Not just because of their uniqueness, strange anatomical, physiological features, or the numbers left on the endangerment scale. Some of them have been bestowed with mystical and clairvoyant powers – or they have instinctually proved that. From clairvoyant camels and prophetic pandas to one very famous octopus of FIFA World Cup 2014 fame, there are the super animals who grabbed headlines across international media for their very niche ability – The power of predicting the outcome of FIFA World Cup matches. With each World Cup comes a new soothsaying star, ready to steal the limelight with its bewildering and jaw-dropping revelations about the outcome of matches played during the biggest sporting spectacle on the earth. Memories of Paul the Octopus will still be fresh in the minds of football fans the world over. After all, tarot card readers and creepy-looking oracles with orbuculum are not the only ones who can predict the future! 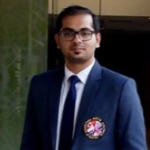 InsideSport.co has compiled a list of such super creatures that have grabbed the attention of global football community during FIFA World Cup. If you are a die-hard football fan, you know what we are talking about. During its times, the lovable eight-legged creature has shared the limelight with other international football icons, especially after the FIFA World Cup 2010 in South Africa. His keepers at the Sea Life Centre in Oberhausen, Germany, would offer him two boxes that contained food and had different countries’ flags on the outside. 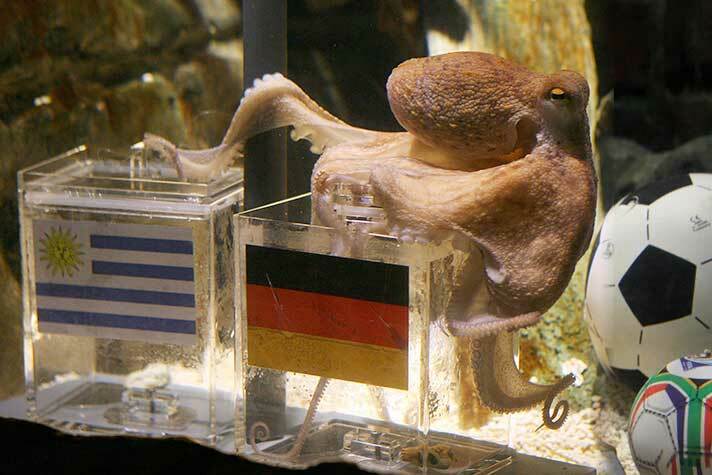 The cephalopod correctly predicted all seven of Germany’s results during FIFA World Cup 2010, and even correctly chose Spain as the ultimate winner. The star of the ongoing FIFA World Cup in Russia is a cat named Achilles. The little feline has also patriotically predicted that Russia will beat Saudi Arabia in their opening match. The hosts rightly started on a winning note. Didn’t they! The deaf, snow white cat, is part of the team that mouses for St Petersburg’s Hermitage Museum in Russia. It is said to have accurately predicted the winners during the 2017 Confederations Cup, too. If you think that the camels are those who are always drowned in boredom pacing unending expanses of the desert in the blistering heat, you might like to think again. 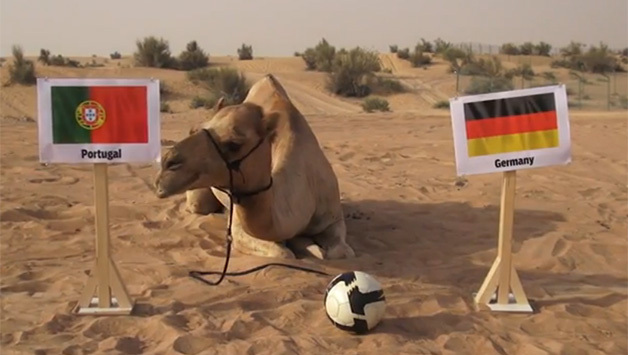 In 2014, the Dubai-based Gulf News discovered a wise camel named Shaheen, who would indicate which team it believed would win each World Cup match. Considered one of the cutest creatures on the planet, Pandas are not far behind among those who are into FIFA World Cup prediction business. The cuddly bears caught the media attention worldwide during the previous edition of the FIFA World Cup when they were set to predict match winners by picking food from a choice of baskets and climbing trees at The Giant Panda Protection and Research Centre in the southwestern province of Sichuan. Concerned authorities, however, stepped in at the last moment to stamp out the stunt, fearing the babies would be scared by the attention from humans. Did you know, all the pandas of around the world are native to and are owned by China. If you find them anywhere else, they are actually leased by the Chinese Government. 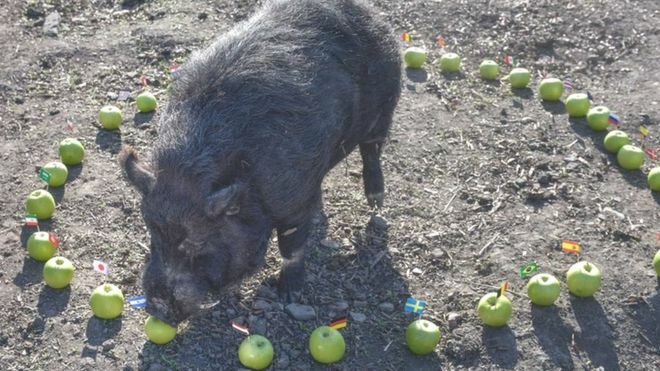 A pig named Mystic Marcus has been making headlines for his extensive World Cup 2018 predictions. According to his British owner, Marcus has a 100% track record of predicting not only sports results, but also the outcome of the 2016 US election. Donald Trump could not thank Marcus more! The mystic porcine has revealed that Nigeria, Belgium, Uruguay and Argentina will get through to the semi-finals of FIFA World Cup 2018 Russia by eating apples bearing the flags of those nations. 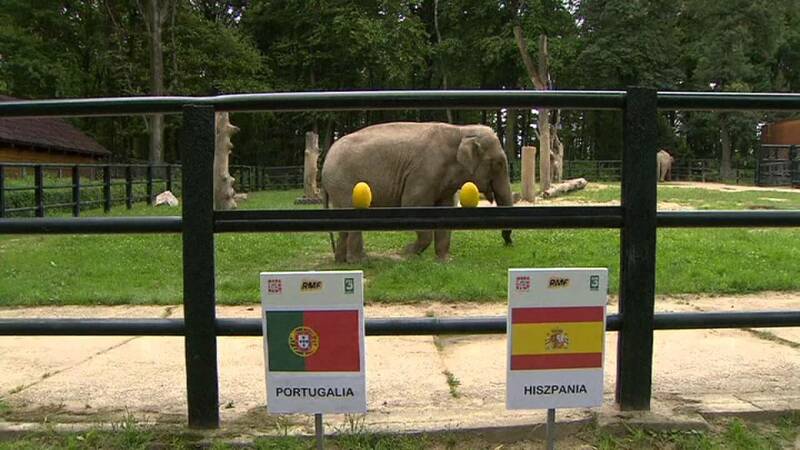 Citta the elephant, a resident at Krakow zoo in Poland, will try to predict the winners of its home country’s matches this year. Interestingly, more than 10,000 people chose Citta over a penguin and a giraffe in a poll to choose an animal psychic. According to various Polish media reports, the female pachyderm will indicate her choice by selecting a piece of fruit. In one of her first sessions, she had rightly predicted Poland to win over Lithuania in a friendly match ahead of the June 14 Russia 2018 kick off. 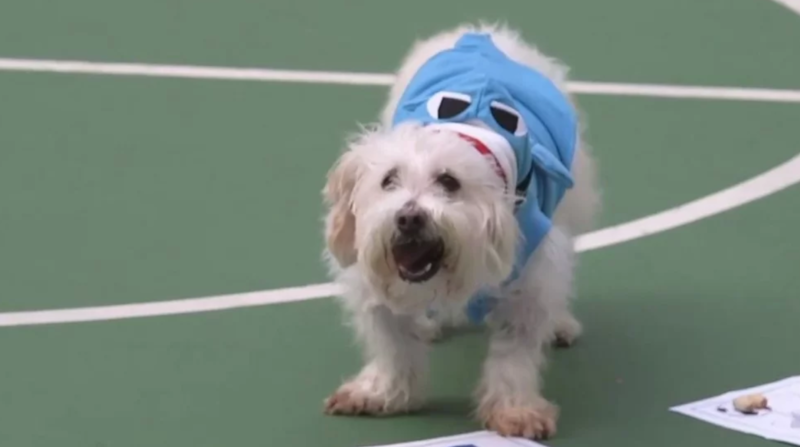 Hong Kong’s newest match-predicting animal – a West Highland Maltese goes by the name of “Datou the Wonder Dog”. Datou has thrown his hat boldly into the ring by declaring that not only will Russia beat Saudi Arabia in the first tie of Group A but that Iceland will win the final. The Nordic Island nation has already left Argentina feeling jittery after their 1-1 stronghold in the Group D opening campaign on June 16. Irrespective of the ultimate outcome of FIFA World Cup 2018 in Moscow, these super creatures are adding their bit to spice up the biggest sports spectacle every four years.